As of last night, I am an Ubuntu Member. Which means I have a bunch of new readers on Planet Ubuntu. I’m one of the LoCo contacts for Ubuntu Canada (along with Ralph. I live in the lovely and exciting city of Waterloo, Ontario and I’m president of Kwartzlab the local hackerspace. 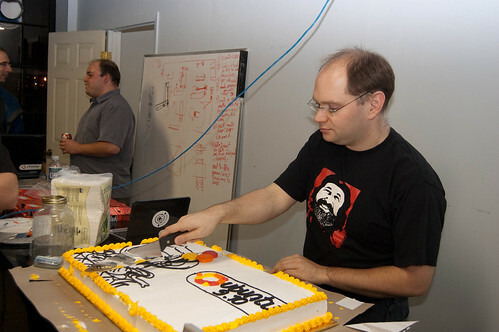 I throw awesome, nerdy Ubuntu release parties, complete with cake. Because all parties need cake. You can read more about the stuff I’ve done on my wiki page. As for what I’m doing, tomorrow I leave for Montreal, and I’m looking forward to meeting FabiÃ¡n, Eric and other folks from Ubuntu Quebec. If you’re in Montreal, you should come too! And we’re only two weeks away from the Ubuntu Global Jam. If you’re in KW or the surrounding area, you should join us at Kwartzlab, Saturday, September 3. We have a development project idea which, if we’re successful will help package maintainers with future Ubuntu upgrades. And, of course, we’ll have the usual testing and triaging if coding up packaging tools isn’t your thing. So stay tuned! And, Planet, it’s a pleasure meeting you at last. 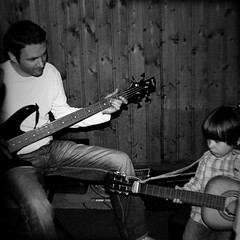 This entry was posted in LoCo, Ubuntu on August 19, 2011 by Darcy Casselman.